My big boy, Ennis. Born in Beirut, Lebanon. He is 12 today, and Moody is so envious! 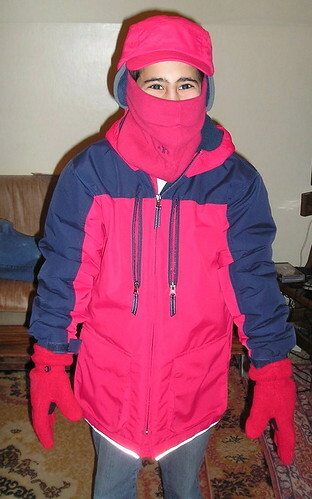 Ennis is all geared up in the picture for the harsh winter of Baalbeck. I sent him and Juju a package that had the stuff to keep them warm, plus many other surprises. They received it a couple of days ago. They were so excited and pleasantly surprised. Whatever Happened to Global Warming! The Blessings... uh... Nots of Literacy!